We offer high quality RYA day skipper courses that are tailored to fit your strengths and weaknesses. Train on immaculate sailing yachts or motor boats with experienced instructors and low student ratios. Our RYA training centre in Hamble, on the Solent (near Portsmouth and Southampton), offers the full range of RYA courses including: RYA day skipper sail practical, RYA day skipper motor practical and the RYA shorebased day skipper theory course (online). 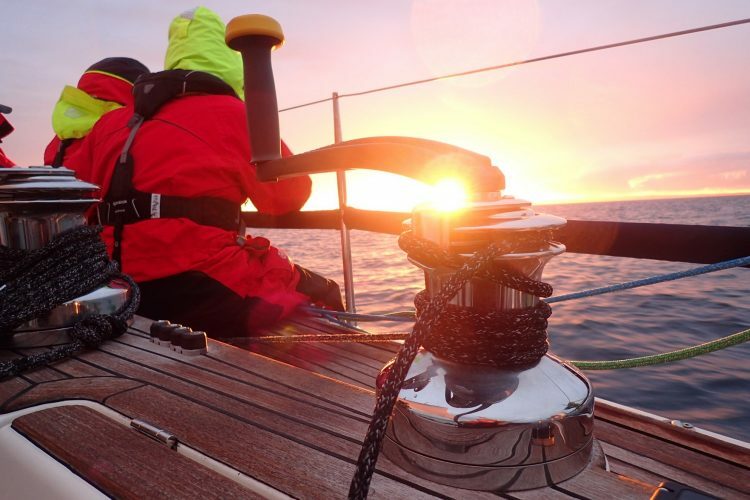 This five day practical course is ideal for aspiring skippers who have some yachting experience and basic navigation and sailing skills. 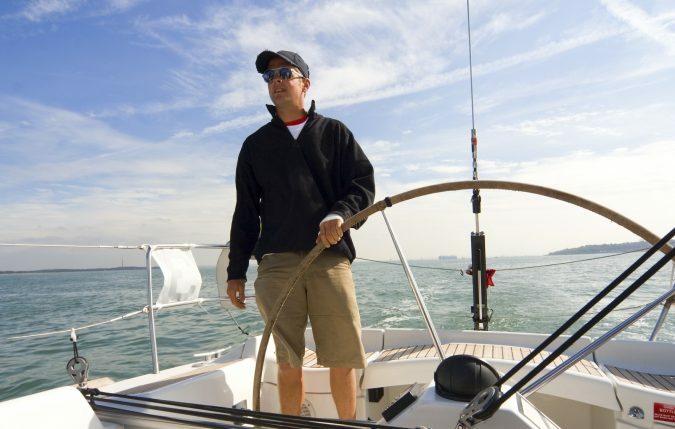 You’ll learn to skipper a short passage with the advice and guidance of an RYA instructor. Experience the high and lows of being the skipper and the responsibility it brings. Student ratio : Private tuition with a 1:1 student to instructor ratio. Bring family and friends at no extra cost and no need to share cabins with strangers. Course prerequisites & Age : 16 Years + 5 days yacht sailing experience + day skipper theory. What’s in the RYA day skipper sail practical course syllabus ? Preparation for sea, deck work, navigation, pilotage, meteorology, rules of the road, maintenance and repair work, engines, victualing, emergency situations, yacht handling under power, yacht handling under sail, passage making, night cruising. 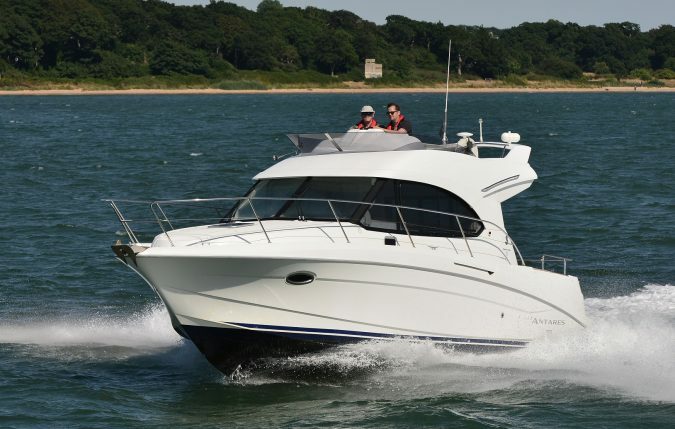 This four day practical course is ideal for those who are new to boating, or have some basic experience of motor cruising and who now want to skipper their own motor cruiser. This course offers practice and guidance for safely skippering a motor cruiser in local waters and berthing in marinas or anchoring in secluded spots. Course prerequisites & Age : 16 Years + 2 days motor boat experience + Day skipper theory. What’s in the RYA day skipper motor practical course syllabus ? Preparation for sea, boat handling, navigation, pilotage, passage making, meteorology, rules of the road, engines, emergency situations, introduction to night cruising. 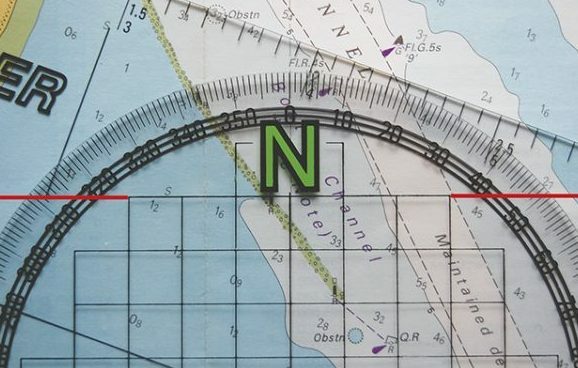 Learn about coastal navigation, position fixing, plotting a course to steer, using tide-tables and creating a pilotage plan. You’ll practice how to plan ahead for a day sail – including passage planning and meteorology. What’s in the RYA day skipper theory course syllabus ? construction, parts and equipment of a cruising boat, emergency and safety procedures including distress calls,use of flares, safety harnesses, lifejackets and liferafts. Why train with Pure Latitude BOAT CLUB? Pure Latitude is not just a sailing school. We deliver high quality RYA day skipper courses on our immaculate fleet of club boats – with a focus on bespoke support and development through our training membership plans. Our RYA day skipper courses are tailored to your goals. Low instructor – student ratios ensure a high quality learning experience focused on your specific strengths and weaknesses. It’s by far the most productive way to learn and you are welcome to bring family and friends at no extra cost. Our base in Hamble offers immediate access to the Solent – the Mecca of UK sailing. Situated between Southampton and Portsmouth, we are easily accessed by road or rail. 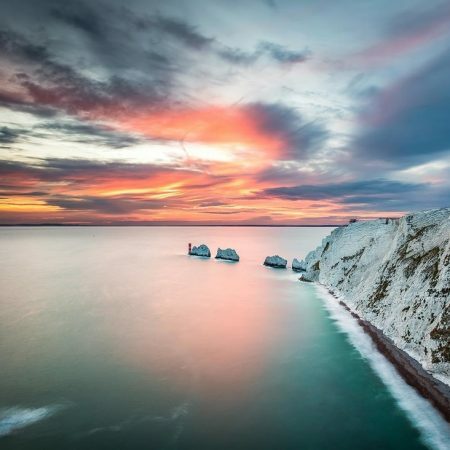 The Solent offers a wonderful selection of harbours, bays and historic boating towns. As a training location, it is beautiful and varied but also demanding, with challenging winds, complex tides and busy waterways. 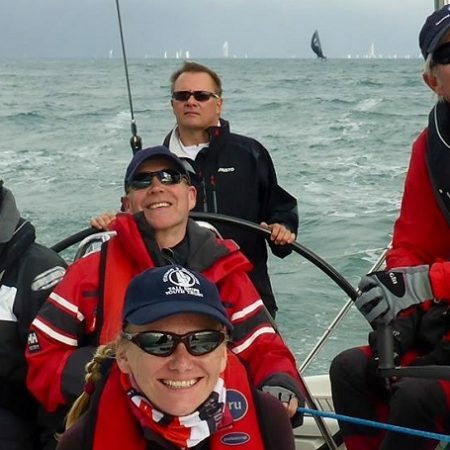 RYA day skipper certificates completed in the Solent are held in high regard worldwide – it’s often said if you can sail in the Solent you can sail anywhere. WHY TRAIN AS PART OF Pure Latitude BOAT CLUB ? Learning doesn’t finish at the end of the course. The same could be said for any discipline, but when it comes to boating, experience is everything. 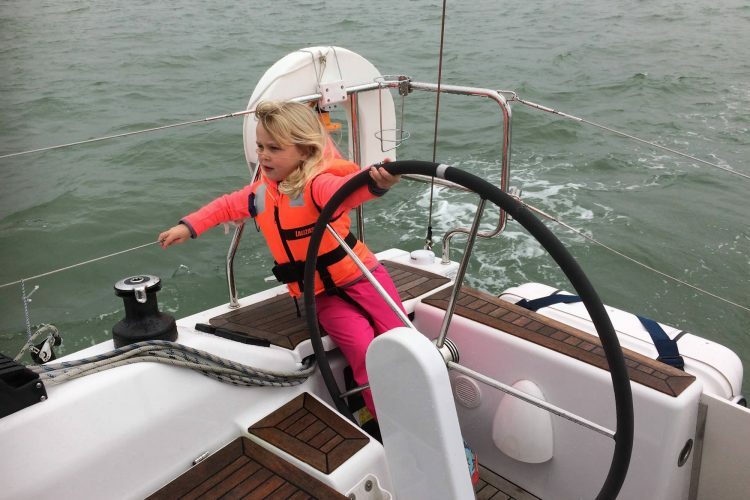 We developed our boat share club to make bespoke learning accessible, hassle-free and affordable, with a unique mix of sail and power boat training options. Book a visit to view our fleet in Port Hamble marina and discuss how we’d help support your journey as a skipper. To arrange your visit please email ian@purelatitude.com, call the office on 02380 001234 or complete the form below.